…up to no good in the front yard yesterday during the snow flurries. They stopped long enough for this quick shot, and I did not get ONE image with them all looking in the same direction! 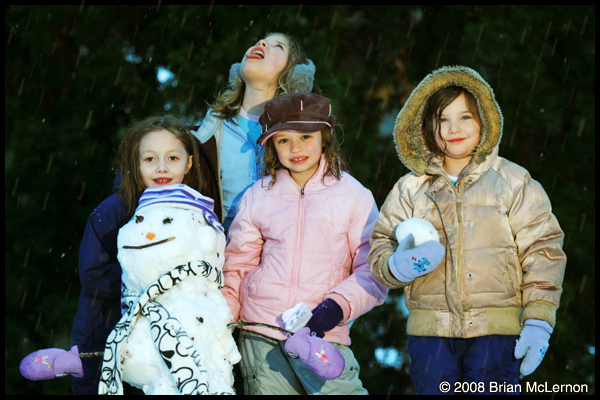 This entry was posted in Personal, Portraits and tagged hooligans, Kids, snow, snowman, snowmen on December 18, 2008 by admin. Hey Brian, long time no see (I used to work at NSP) Just stumbled upon you again. I love your new profile pic too!